I am extremely proud to be the headteacher of Odessa Infant school and on behalf of the staff, children and governors I would like to wish you a very warm welcome to our website. We are a very popular infant school in Forest Gate in the London Borough of Newham. The school is housed in a pleasant, well maintained building with an extensive green outdoor area surrounding the classrooms. This offers the children a unique learning environment in which to explore nature and develop a love of the outdoors. 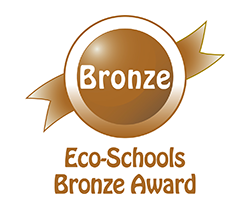 We provide a school where children can develop a joy of learning and respect for the environment and the wider world. We have high expectations for every child and endeavour to meet the needs of all of our children. By providing varied and challenging learning experiences, we aim to develop unique qualities and talents in every child. ‘Pupils’ attainment at the end of Year 2 is significantly above national averages in reading, writing and mathematics’. As a school we really value our strong relationships with parents and carers and strive to work in partnership to ensure the best possible outcomes for our children. Odessa Infant school is in the heart of the local community and we fully embrace diversity and inclusion in all that we do. Please contact the school and come along to see what we have to offer at Odessa. You are always welcome. Return to School Summer 1 – 23rd April In the event the school needs to close unexpectedly, the information will be provided here. You may also check the status of the school by dialing 020 8408 7508 and entering the school’s DfE code, which is 316-2049. © 2018 | Website designed by NPW.